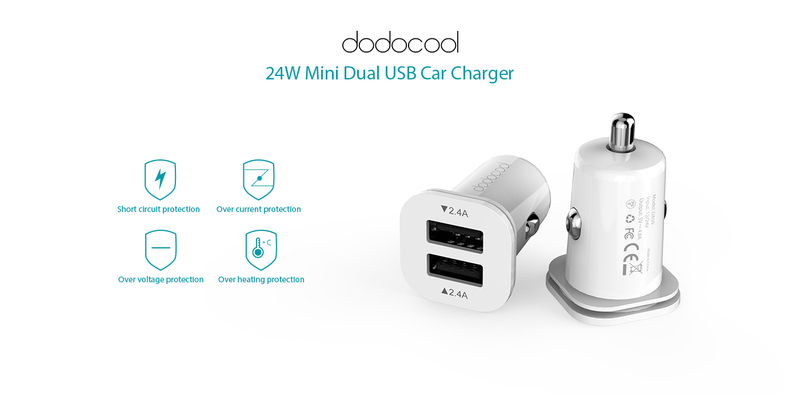 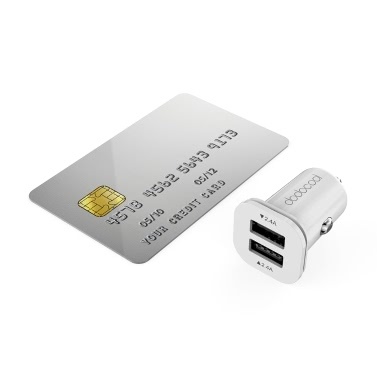 dodocool 4.8A Dual USB Car Charger is a perfect choice for your phones and other USB-powered devices. 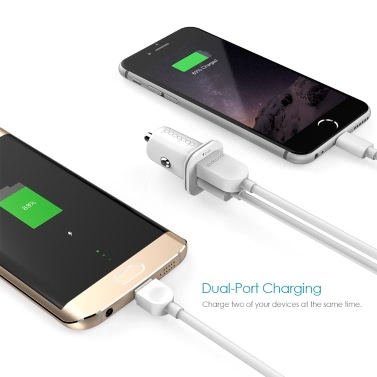 Its dual USB ports with built-in intelligent recognition chip help ensure the best charging effect for two devices simultaneously. 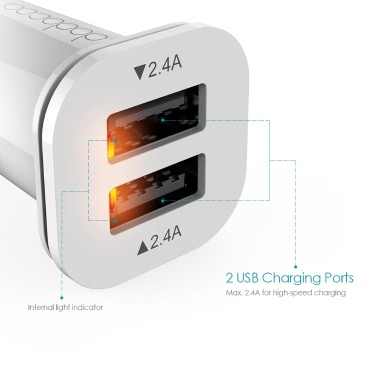 Dual USB charging ports can charge two devices at optimal speeds simultaneously with 24 watts of rated power. 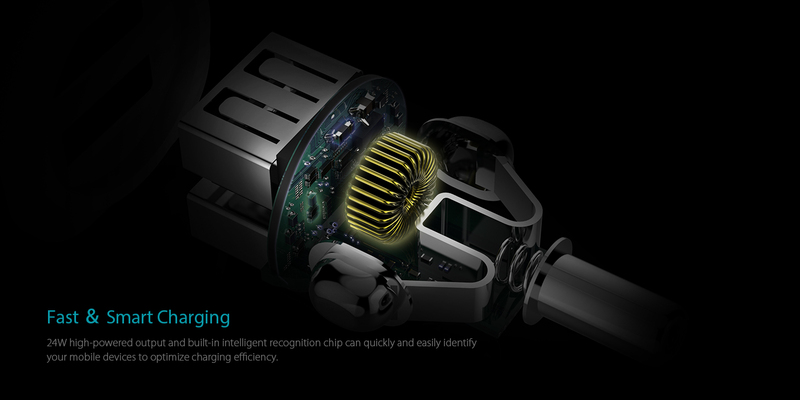 Detect your devices and deliver the optimal current to connected devices intelligently. 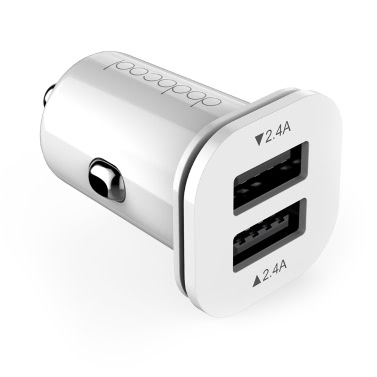 Max 5V / 2.4A per USB port, Max 4.8A total USB output. 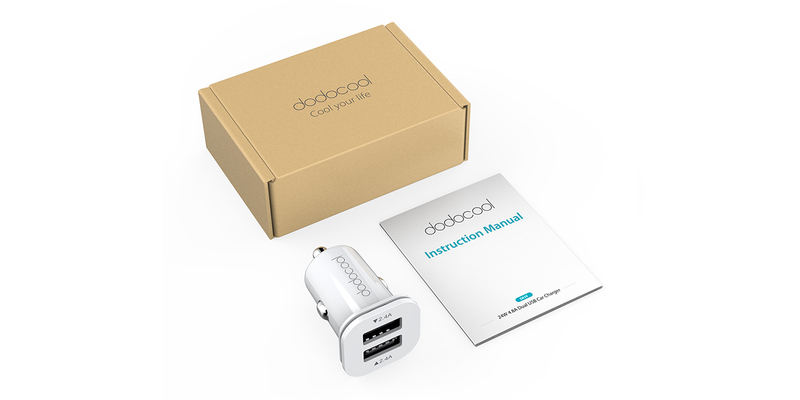 Built-in over-heating, over-current, over-voltage, over-charging and short-circuit protection safely guards your device. 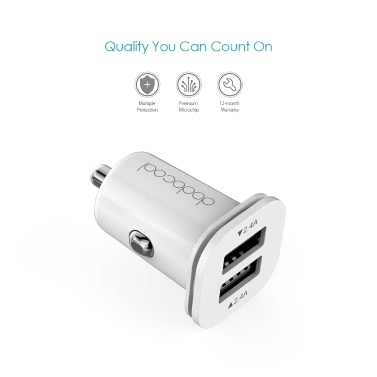 With red LED light to indicate power connection. 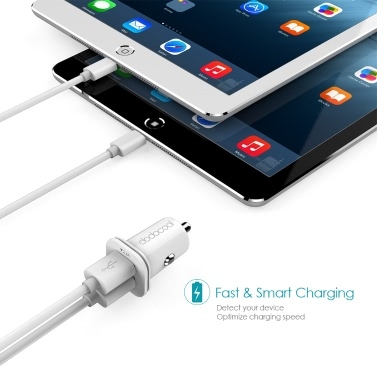 Compatible with most USB-powered mobile phones, tablets, GPS, music players and other devices. 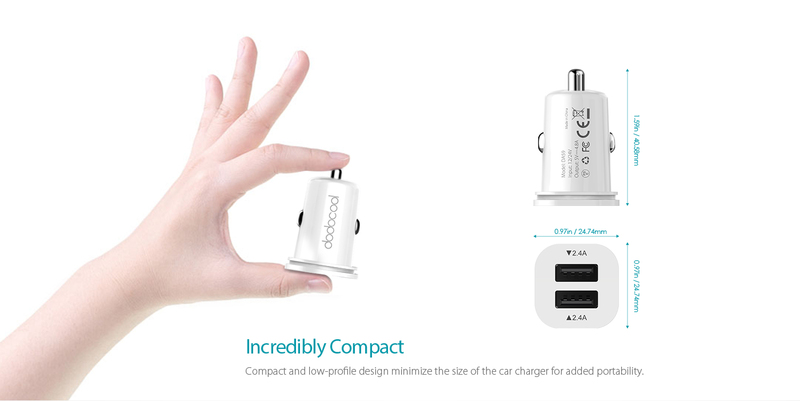 Compact and low-profile design minimizes the size for added portability. 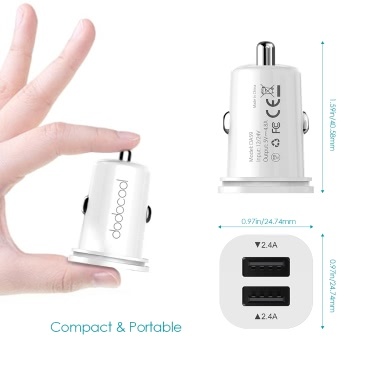 It is one of the smallest car chargers on the market.